The 1973 South African Grand Prix, formally titled the Seventh AA Grand Prix of South Africa, was a Formula One motor race held at Kyalami on 3 March 1973. It was race 3 of 15 in both the 1973 World Championship of Drivers and the 1973 International Cup for Formula One Manufacturers. The race was won by Jackie Stewart driving a Tyrrell. Denny Hulme's pole position was the only one of his Formula One World Championship career. This race marked Scuderia Ferrari's 200th start in a World Championship event as a team. Mike Hailwood was recognised for bravery when he went to pull Clay Regazzoni from his burning car after the two collided on the second lap of the race. Hailwood's driving suit caught fire, but after being extinguished by a fire marshal he returned to help rescue Regazzoni, an act for which he was awarded the George Medal. 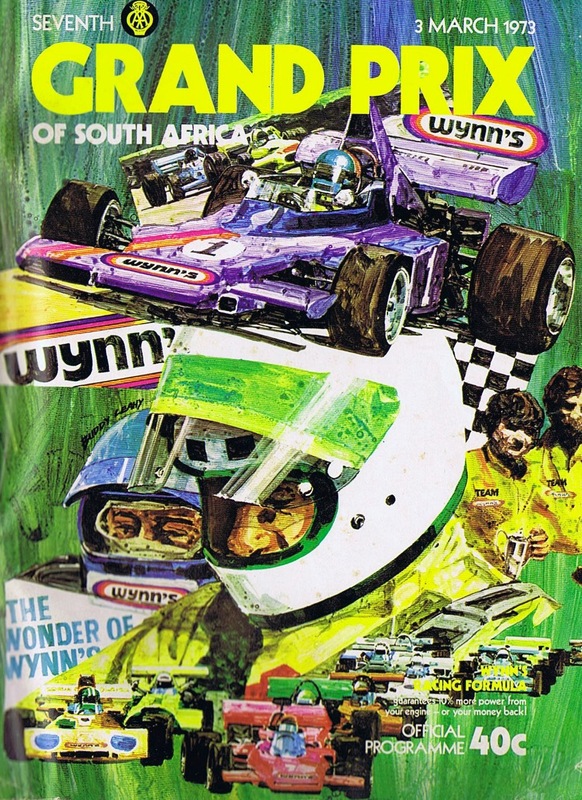 ^ "Motor Racing Programme Covers: 1973". The Programme Covers Project. Retrieved 7 July 2017. ^ Scuderia Ferrari did not participate in the 1950 French Grand Prix; Peter Whitehead's privateer entry in this race does not count towards the team's participation tally. ^ "1973 South African Grand Prix". formula1.com. Archived from the original on 3 September 2014. Retrieved 22 December 2015. ^ a b "South Africa 1973 - Championship • STATS F1". www.statsf1.com. Retrieved 20 March 2019. This page was last edited on 20 March 2019, at 16:57 (UTC).